Check and check! My wedding dress and veil are marked off of the wedding to-do list, and boy was it fun. We are getting to the point where the style of our wedding is starting to take shape and I can actually envision what it might look like instead of browsing through Pinterest, pinning everything that catches my eye and forming a general idea of what we want. I had planned on coming home this weekend, so I called my mom on Wednesday just to chat about some things we had in mind. 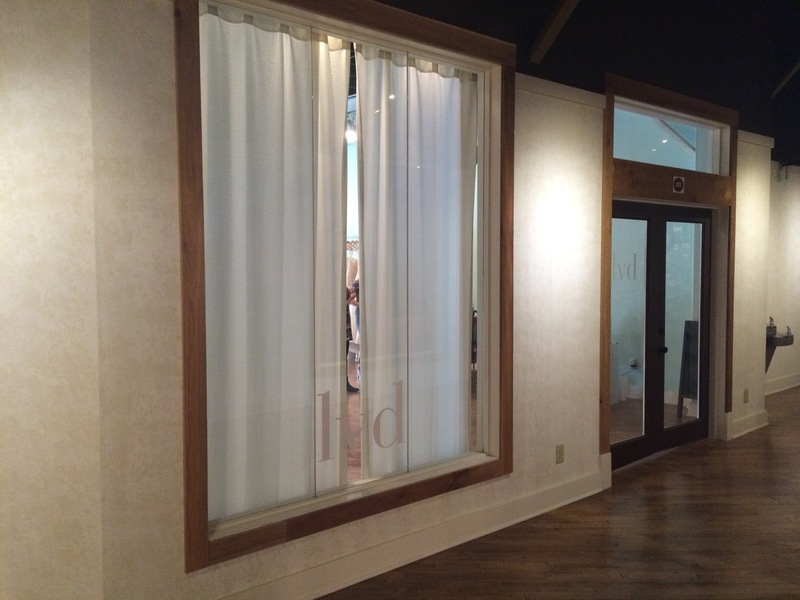 She had made an appointment in March for me to try on dresses at a dress shop called Modern Trousseau in Nashville, but I have had my eye on this lovely consignment boutique called LVD Bridal (pronounced “loved”) located in Houston Station. I found The Dress Theory, the boutique from which LVD derives, on Instagram last year and found LVD through some of the pictures they had posted to their feed. I’ve been itching to make an appointment ever since I discovered them, but Daniel and I were not yet engaged, so I had to be patient! I saw they had an appointment open on Friday, so we snatched it up and planned to go that afternoon. I have a thing for second-hand, and that will definitely play a role in our wedding. Although by the looks of this little boutique, you’d never guess these dresses are second-hand. I know a lot of brides wouldn’t dream of wearing a dress that has already been worn by another bride, but I think it can be special. That dress has been a part of someone else’s special day and the fact that it has been lovingly worn by another beautiful bride gives it that much more character and personality. Although my dress hasn’t been worn by another bride, it was taken from The Dress Theory as a sample gown they no longer had room for, so that they could rotate in newer dresses. This is one of the reasons The Dress Theory created LVD, to give all of those beautiful dresses another home and a place for past Dress Theory brides to consign their gowns. When we arrived, we were greeted by the sweetest manager, Ila, and immediately sat down to talk about what exactly we were looking for and our vision for the wedding. I highly suggest you book an appointment at this boutique if you are looking for an intimate and personal experience. I loved that Ila, my mom and I were the only people in the boutique and Ila’s attention wasn’t divided between helping me and ten other brides. After talking for a few minutes, we began looking through and pulling dresses to try on, and let me tell you, it was wedding bliss. I picked out eight or so gowns that captured my attention and we were off to the dressing room. One thing I really liked about the boutique is that even though they had a smaller selection to choose from (There were only 40-50 gowns total), I knew they were selected carefully and picked to mimic The Dress Theory aesthetic. The boutique is more about quality than quantity, which is a good thing. Ila told my mom and me that if you have too many options, it can cloud your vision of what you want to look like on your wedding day, which I wholeheartedly agree with. Here’s a peep into the dressing room with some dresses I had picked to try on (None of which is the one that I chose). I tried on two dresses before I found the one I wanted to marry Daniel in! The longer I wore it, the more I adored it. After Ila placed the veil on my head, my mom and I were sold! I felt so giddy and beautiful and I didn’t want to take it of! I know Daniel will love it too. All the pretty headpieces! They really add something to your whole look. And here it is! Wrapped up in all its beauty, ready to be worn on our wedding day and given a personality all its own. 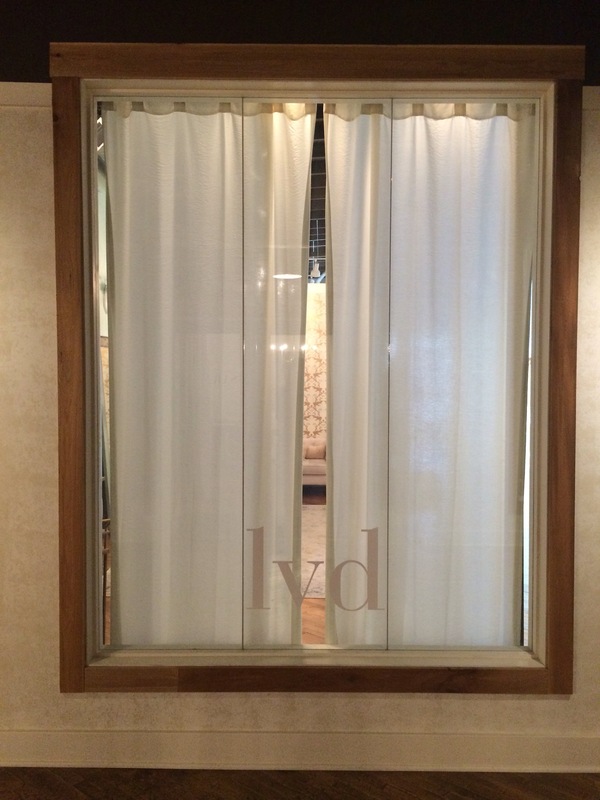 Click here to check out LVD’s Instagram for more beautiful pictures of their space and gowns. Can’t wait to see this wedding! You’re too kind Mrs. Jeanne! Be looking out for a “Save the Date” probably sometime in September! You captured the essence of the moment in your beautiful wording. May the sweet memory live in your heart and make you smile. It does indeed 🙂 It was a wonderful mother daughter moment!